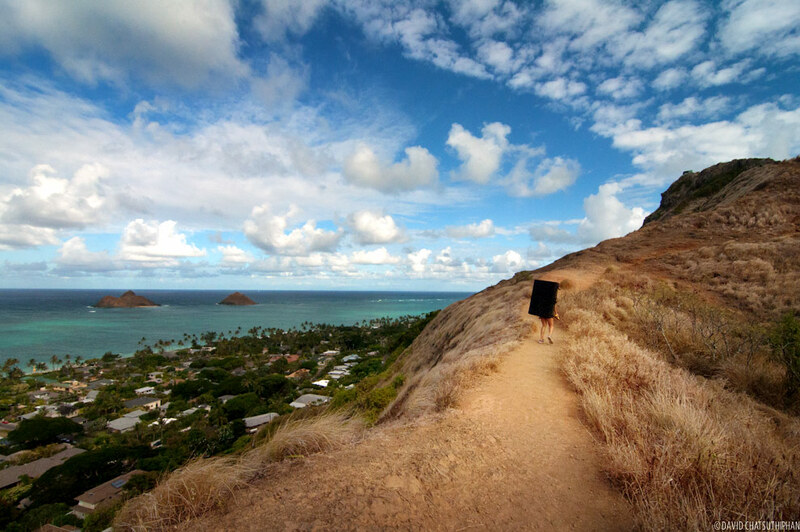 The Lanikai Pillboxes trail overlooks the Lanikai neighborhood and the “Moks”. On the trail there’s a small crag that some people climb. 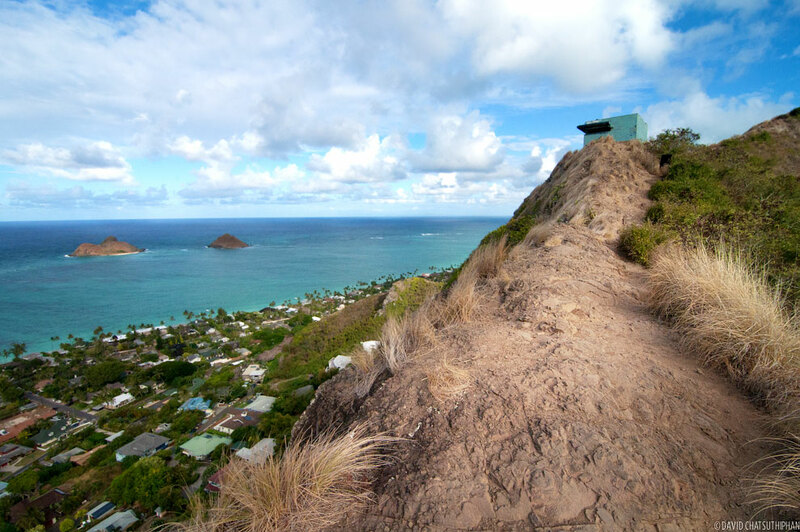 The Lanikai Pillboxes hike (a.k.a, Ka’iwa Ridge Trail) is well known for being one of the easiest hikes on the island and one of the most scenic. That’s a rare combination. 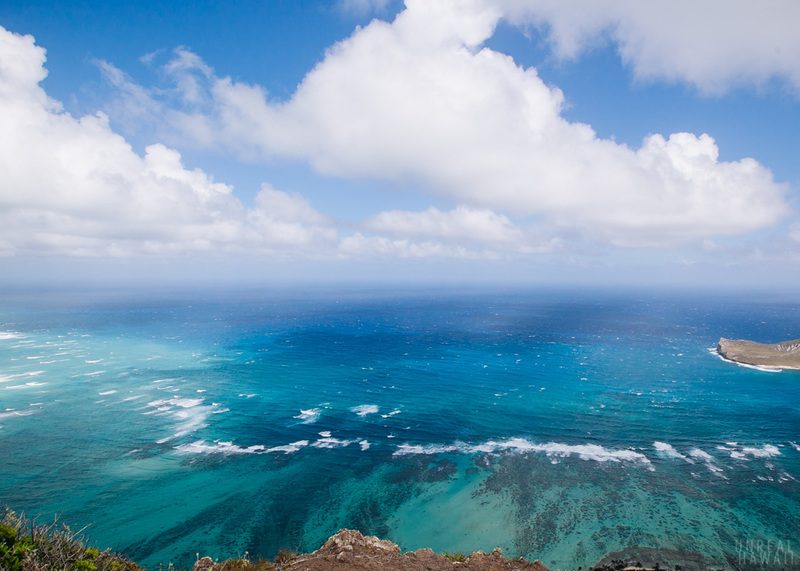 You can complete the hike in an hour or less if you wanted to. 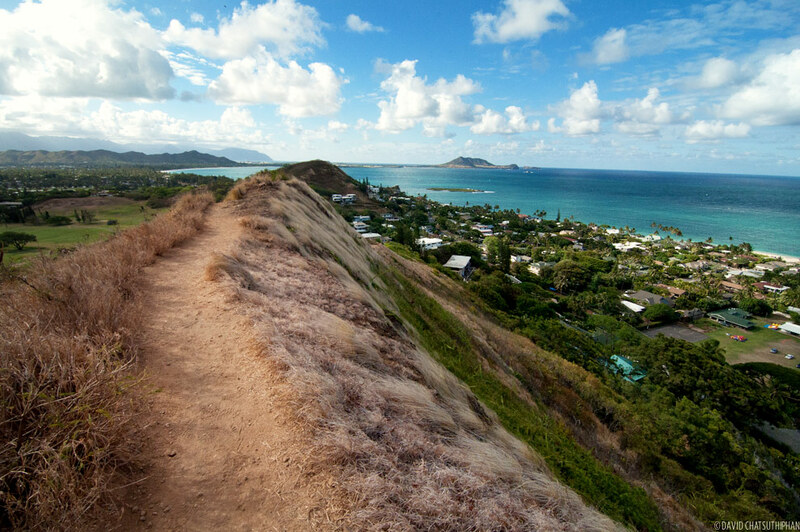 But once you see the sweeping views of Kailua and Lanikai from the ridge, you may want to spend more time on the trail. 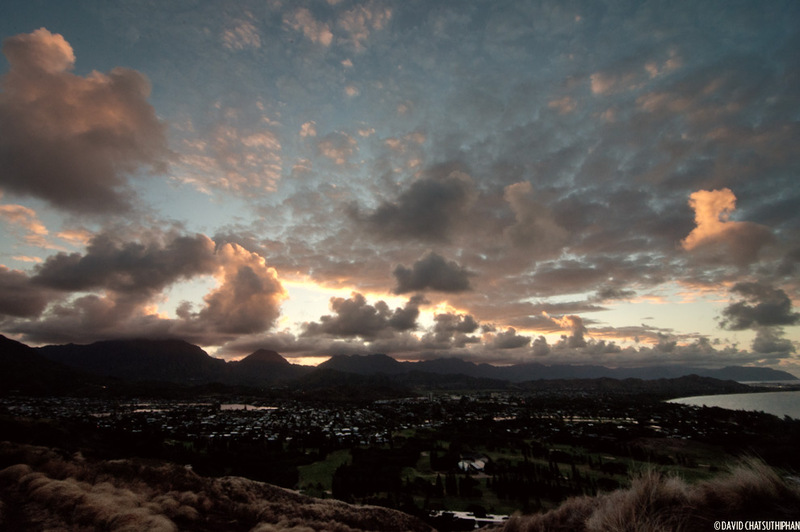 Come at dawn or dusk for the best views. 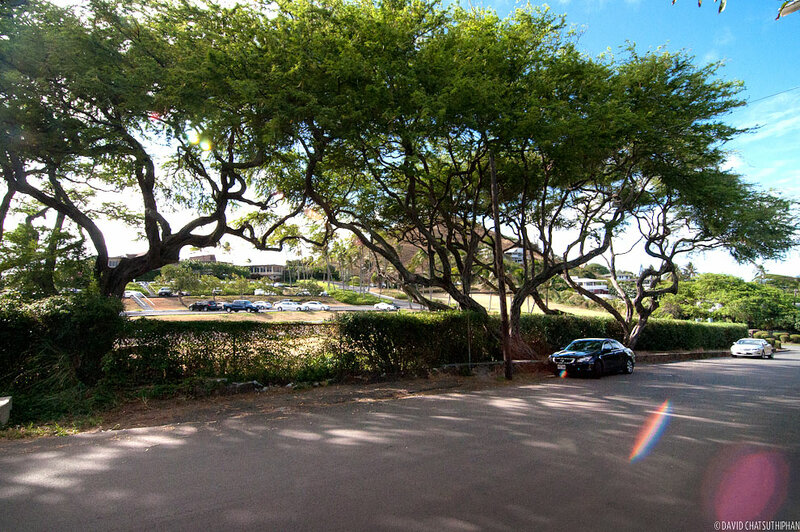 Street parking is plentiful in front of Mid Pacific County Club. UPDATE 3/13/2014: I’ve been told that parking is no longer allowed on this street. Cars have been towed. Parking may be available on streets a bit further away. 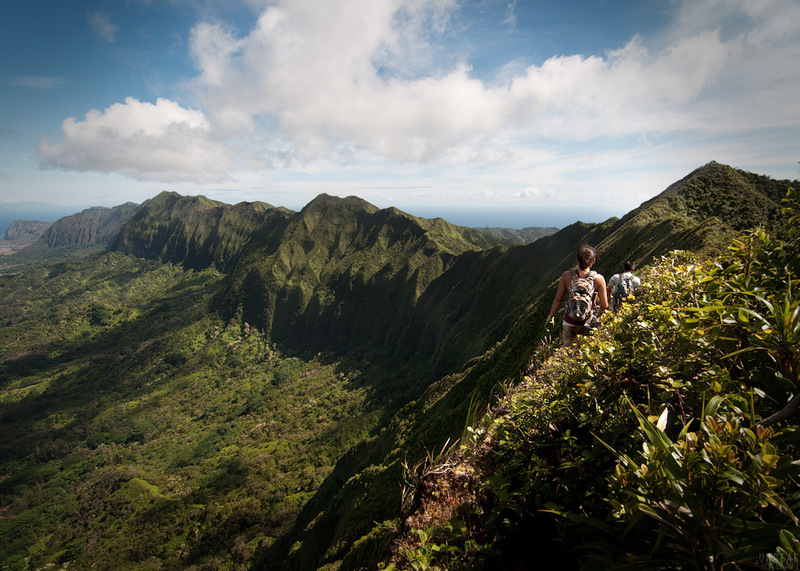 We walked up this small road the stems off Kaelepulu Dr. and you’ll find the trail head. 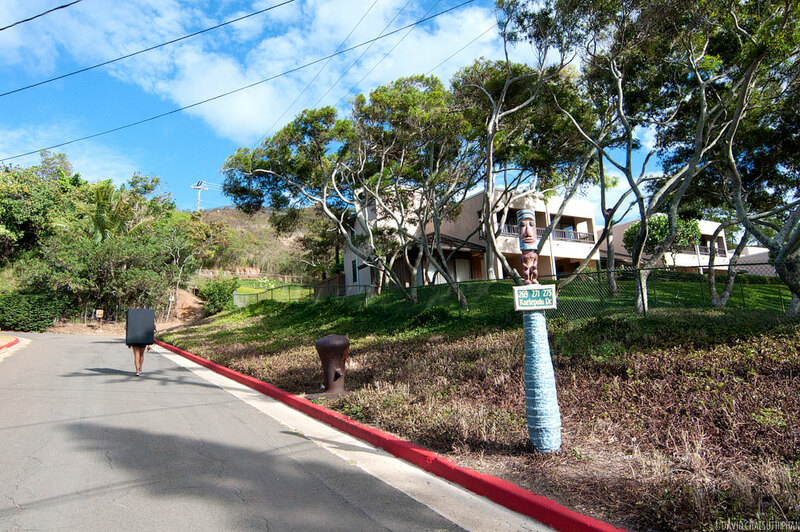 UPDATE 3/13/2014: Please be respectful to the residents that live near the trailhead. I’ve been told that loud talking and littering from hikers has been a problem. 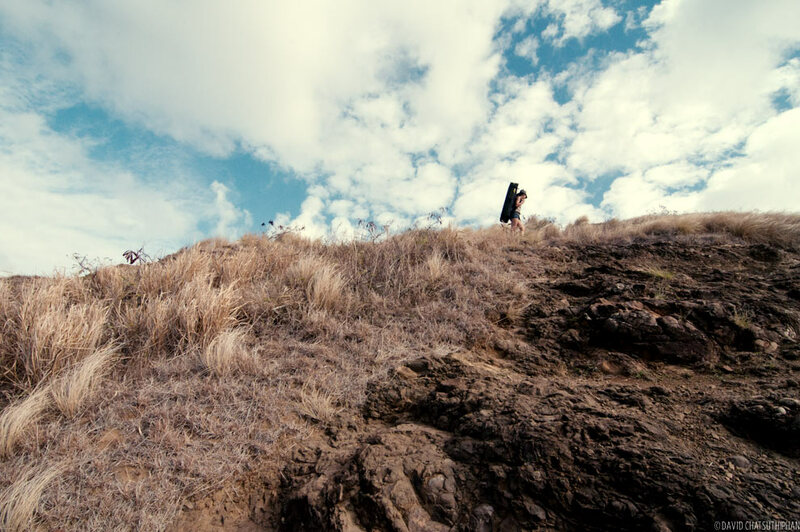 The trail starts with a short incline. 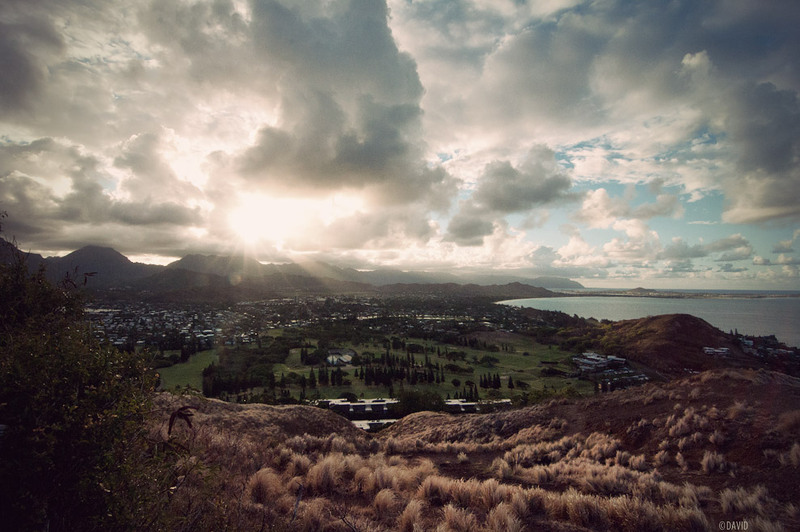 Just a few minutes into the hike you can turn around and see this view of Kailua. For the rest of the hike the incline is gradual. Steps have been formed in the dirt. The first pillbox. A remnant from WWII. 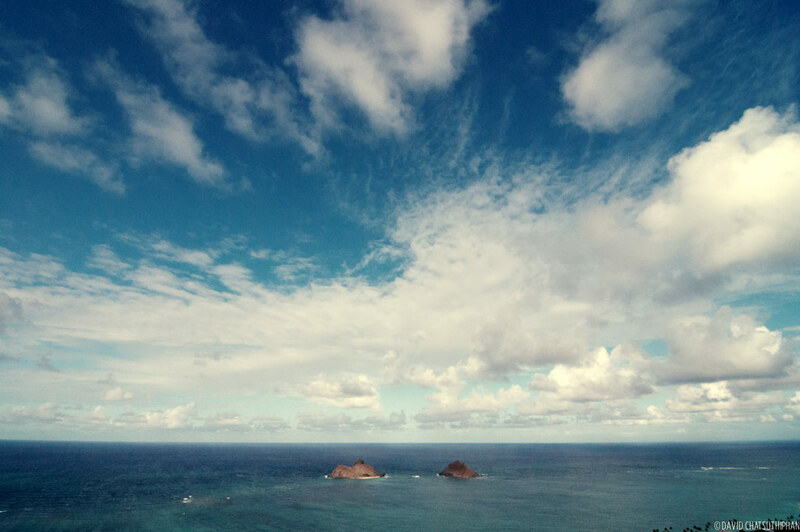 The view from the first pillbox. The wind rushing up the side of the hill pushes the dry grass in one direction giving it the look of soft fur. The second pillbox. 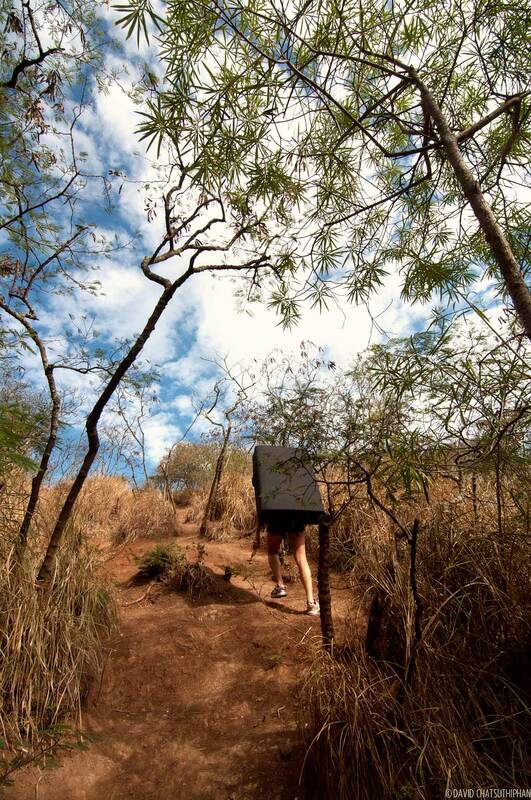 The trail continues past the second pillbox and branches off into a few other trails. Runners may continue on and create a loop through the neighborhood. 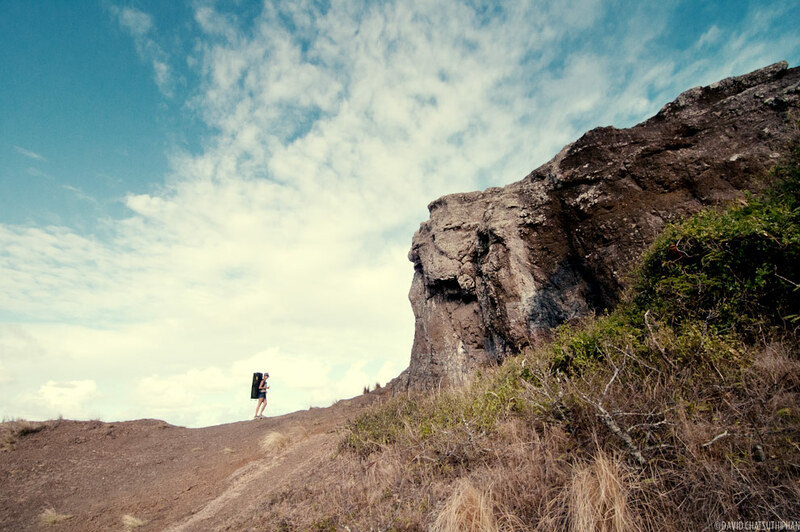 Most hikers just turn around and come back the same way they came. 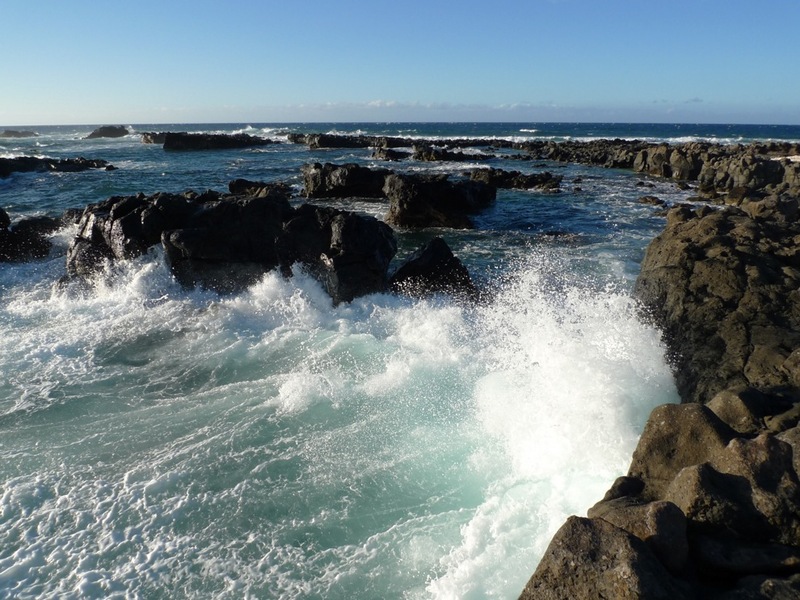 The crag stands between 10 and 20 feet tall and is entirely “choss” (choss = crumbly rock). There are few lines on the rock. The line up this seam was the easiest one. Many of the holds are loose rock. 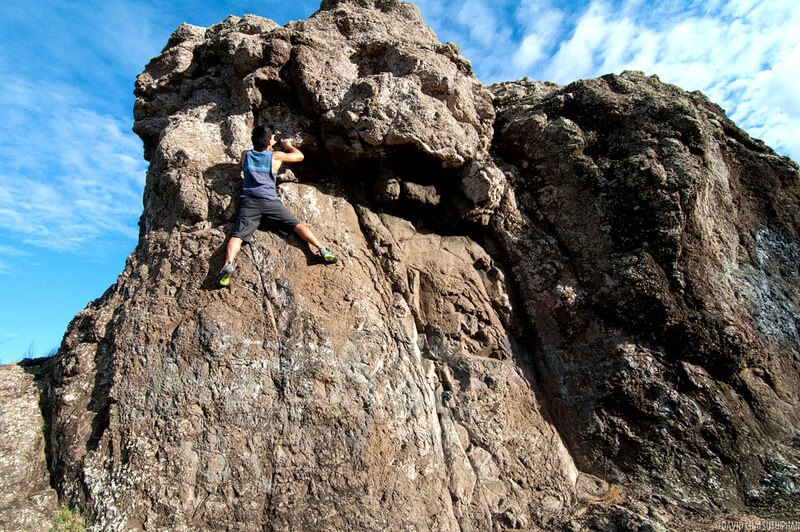 Once closer to the top, there is an overhang that must be negotiated. 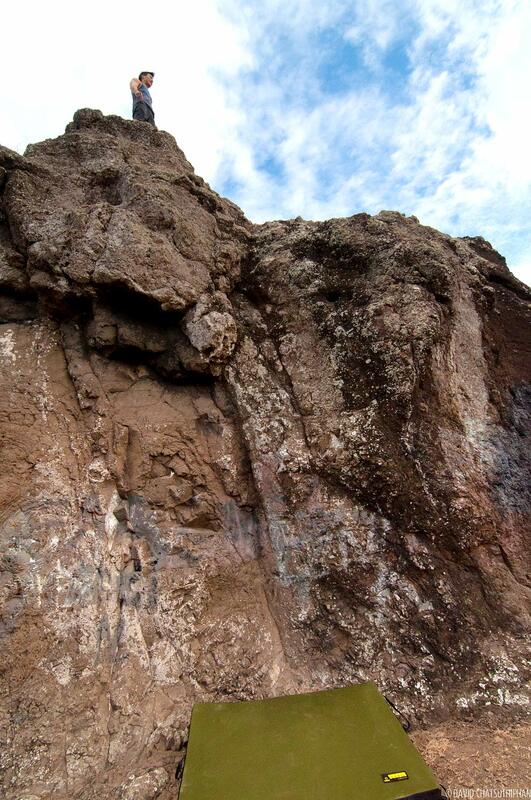 The rock on this crag is so brittle, however, that attempting to top-out over this overhang would be extremely risky. This chunk of rock isn’t really worth climbing. 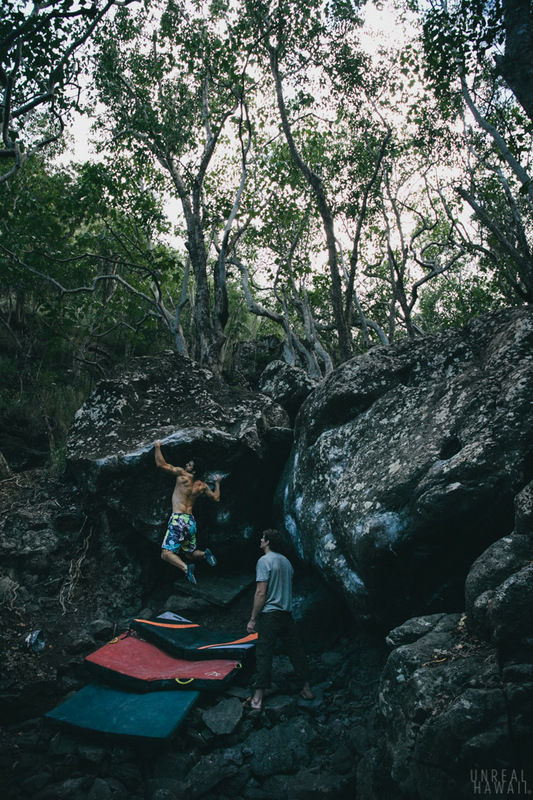 There are much better rock climbing spots on Oahu. 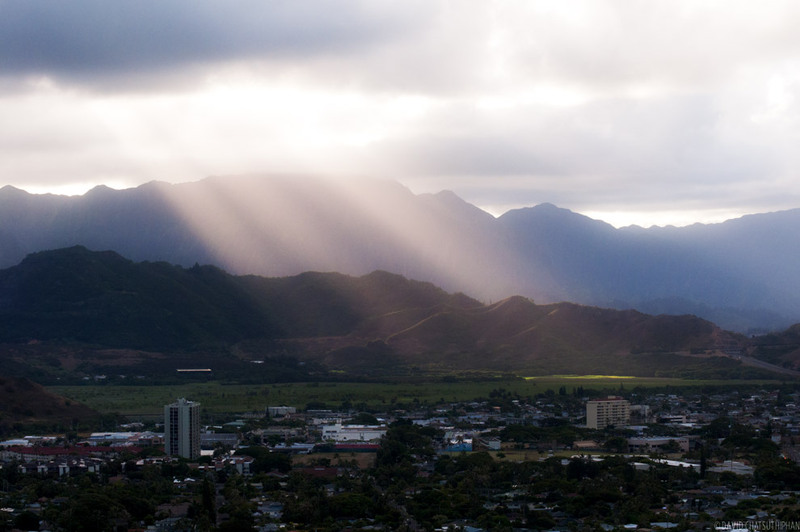 As the afternoon progressed, the sun beamed through the clouds over the Koolau Mountains. Haze in the sky made the distances between the overlapping ridges more pronounced. 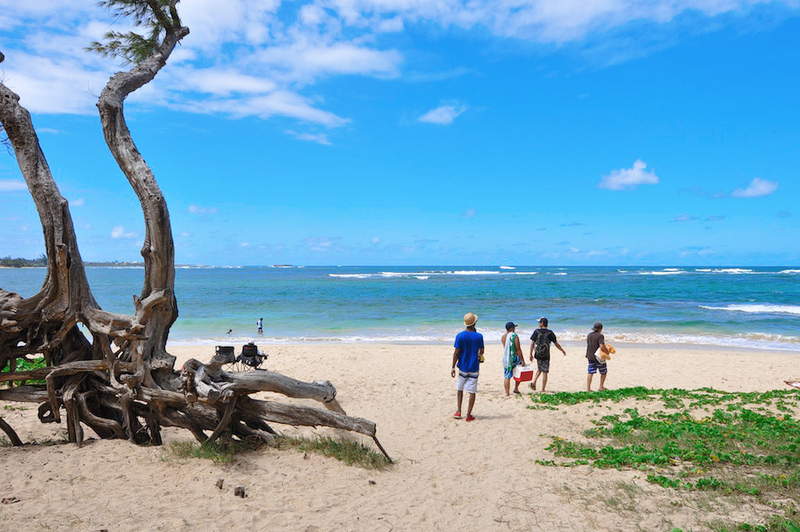 To the left you can see the two Pali Notches in the silhouette. 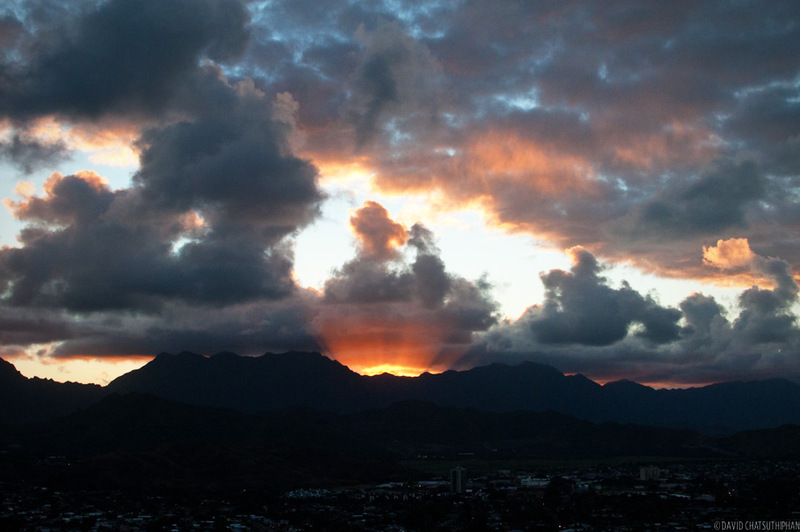 As the sun lowered further in the West, the light beams moved over Kailua. 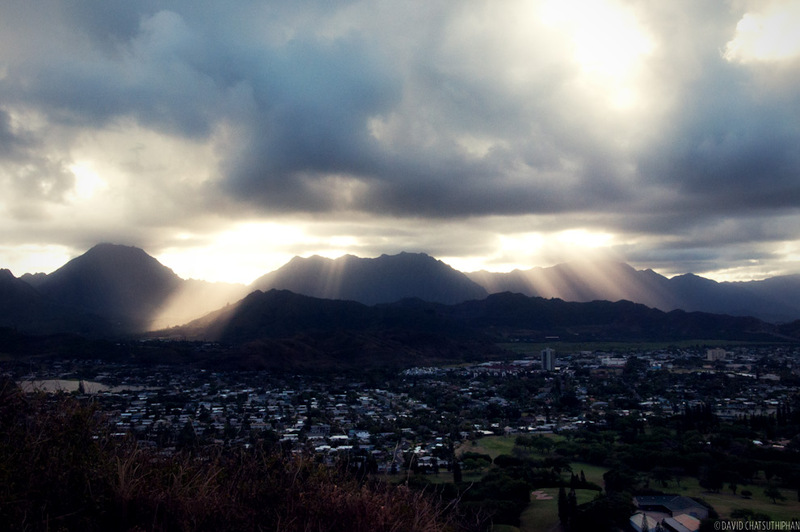 The sun blasted through the clouds at points to illuminate Kailua and the Lanikai Pillboxes trail. 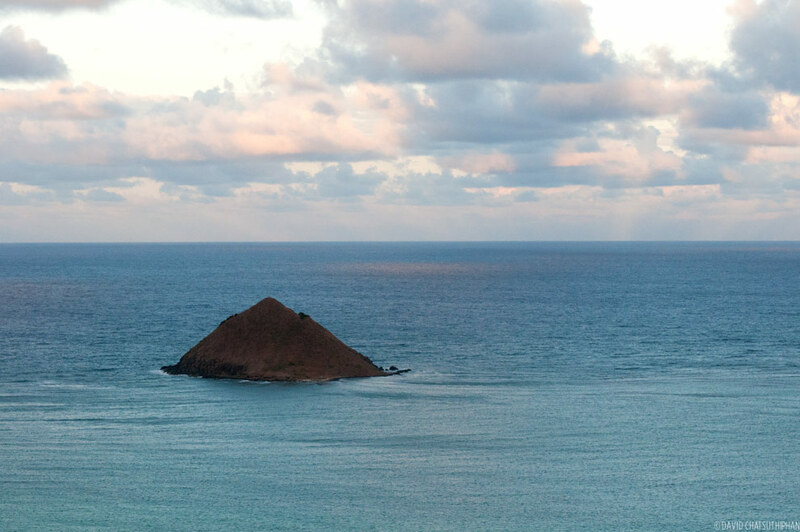 Moku Iki island floated under a pink sky. 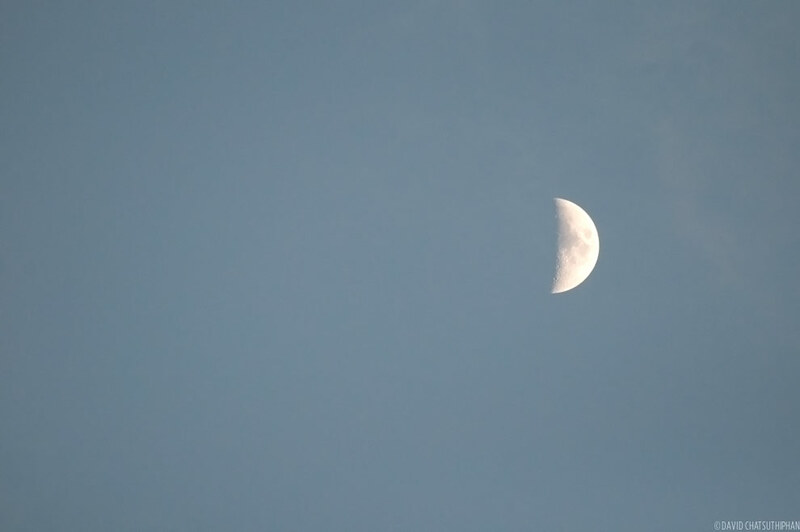 The moonrise was early on this day. It was already visible by mid-afternoon. By dusk, it was shining bright. 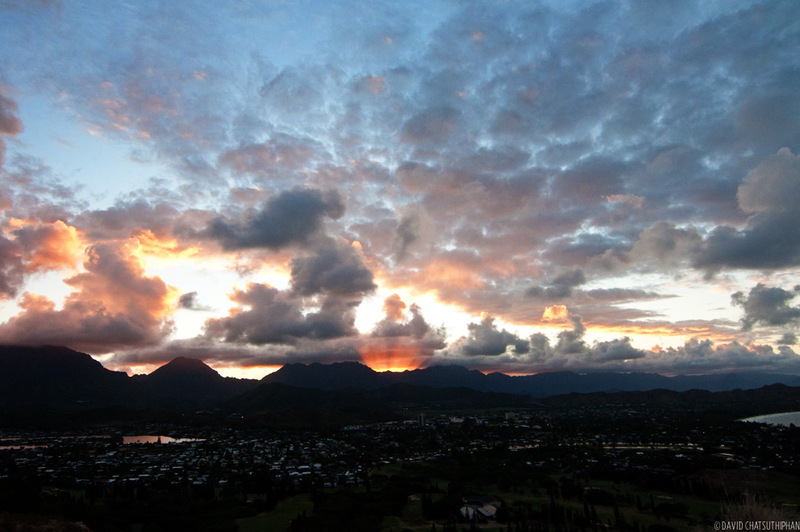 With Kailua being on the East side of the island, at dusk, every cloud takes on a golden lining. 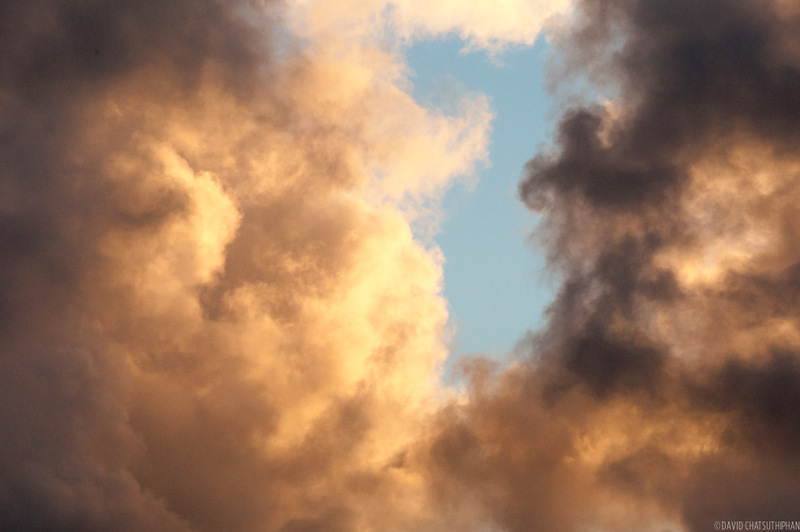 A close up of the golden lining of the clouds. 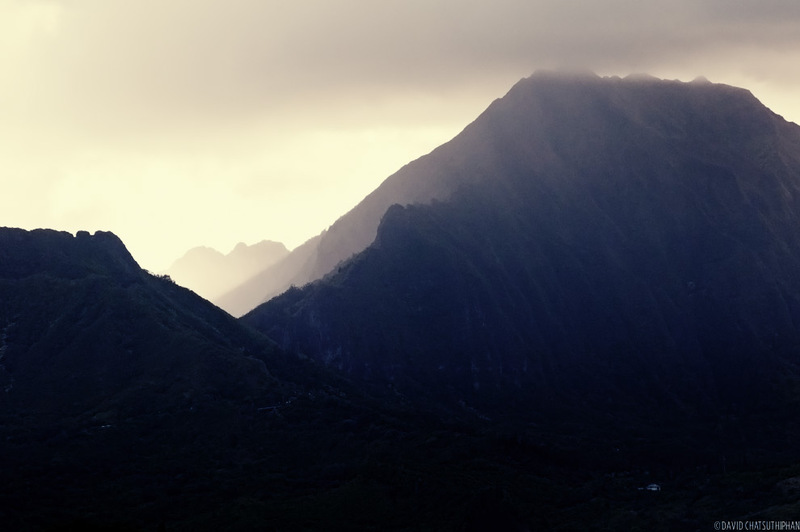 As the sun set behind the Koolaus an interesting effect happened. 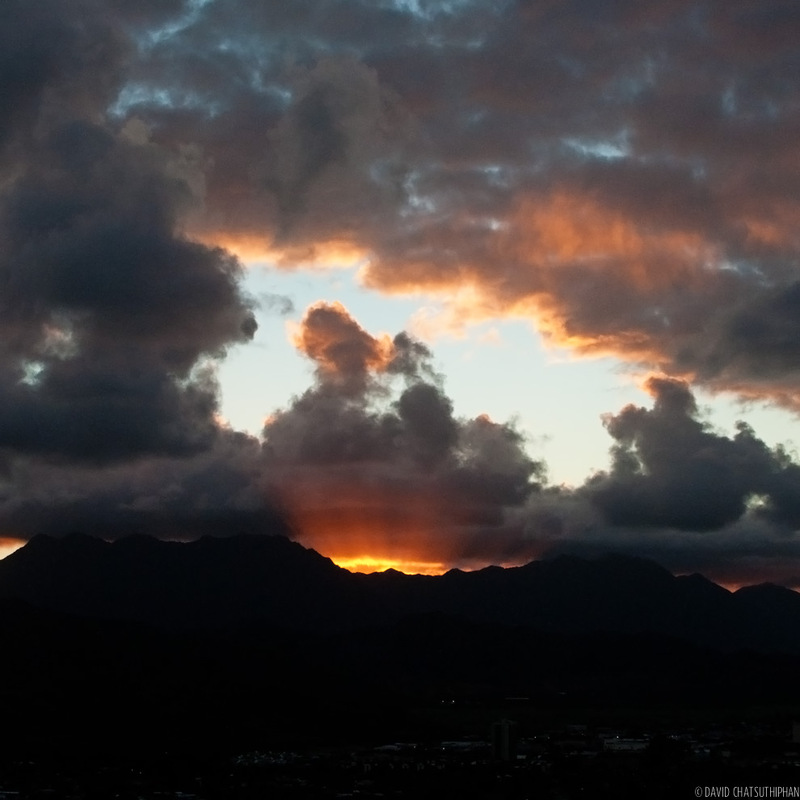 The golden hue of the setting sun burst through a dip in the Koolau summit. 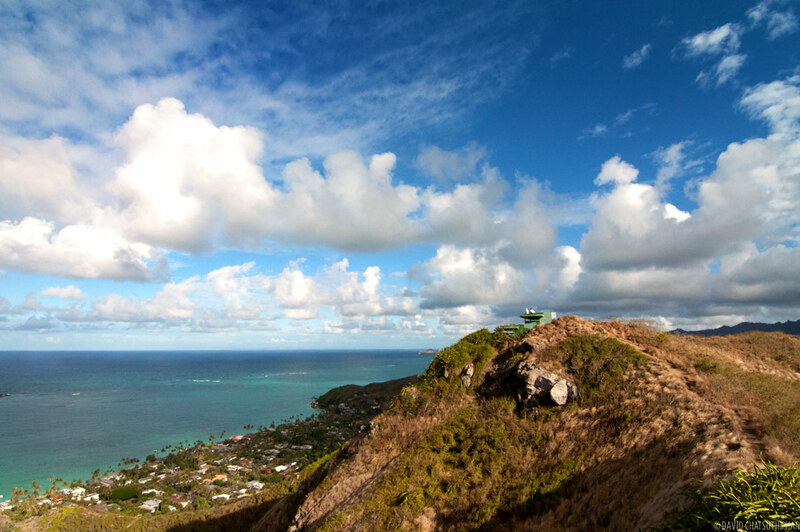 With the Lanikai Pillboxes being so short, you can safely stay on the ridge until dusk and still have enough time to hike back to your car. NOTE ON CLIMBING: This was our first time climbing the crag here. Now that I know how crumbly the rock is I probably won’t climb it again. 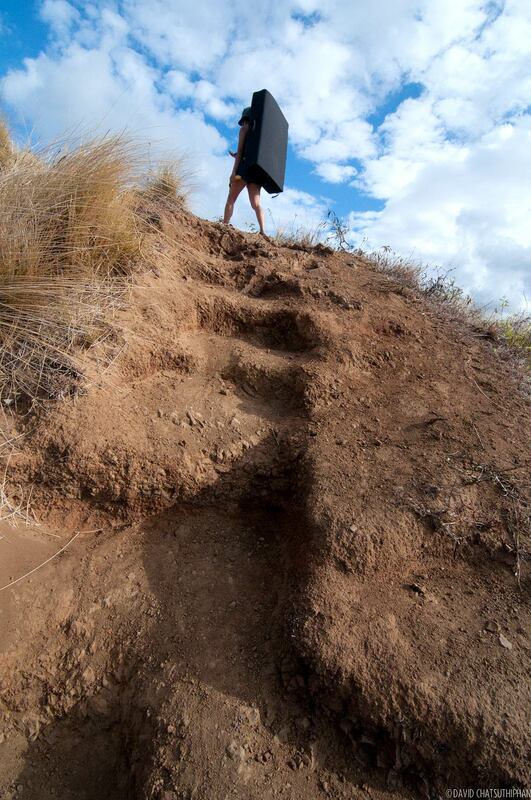 And had I not had a crash pad with me, I would not have attempted any of the routes. It saved us from injury a couple times on this day. 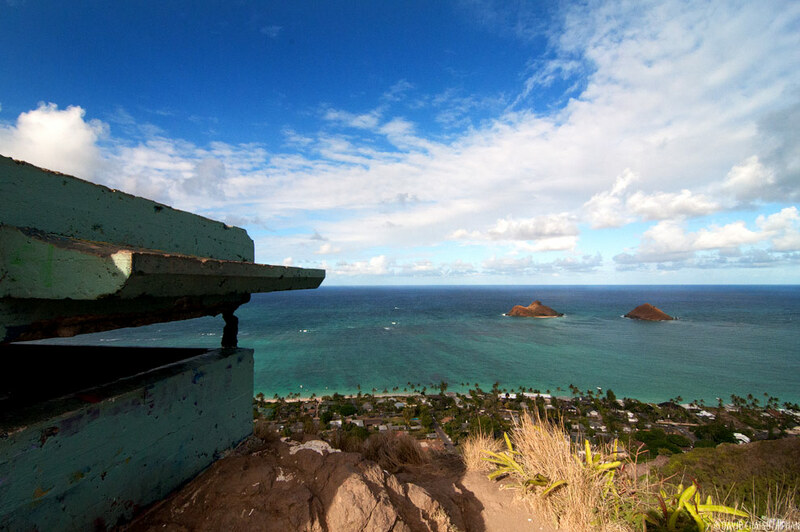 Get directions and read what others have to say on the Lanikai Pillboxes on Yelp. 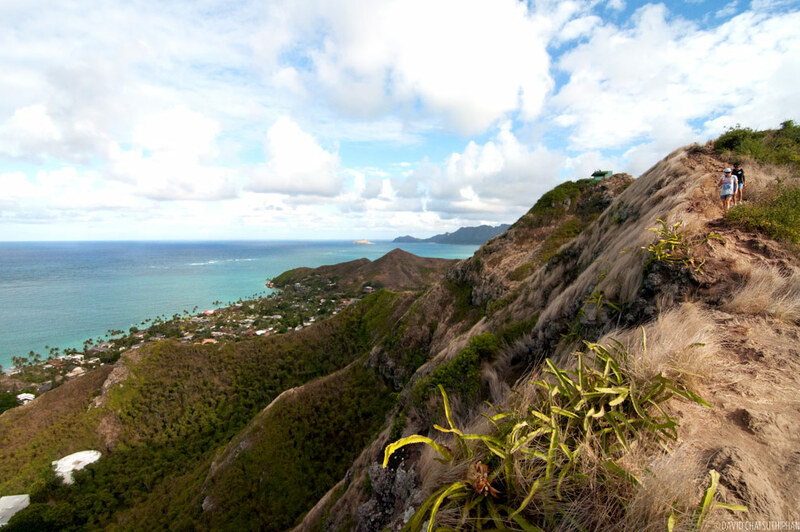 Ka’iwa Ridge (Lanikai Pillboxes) on Island Trails. 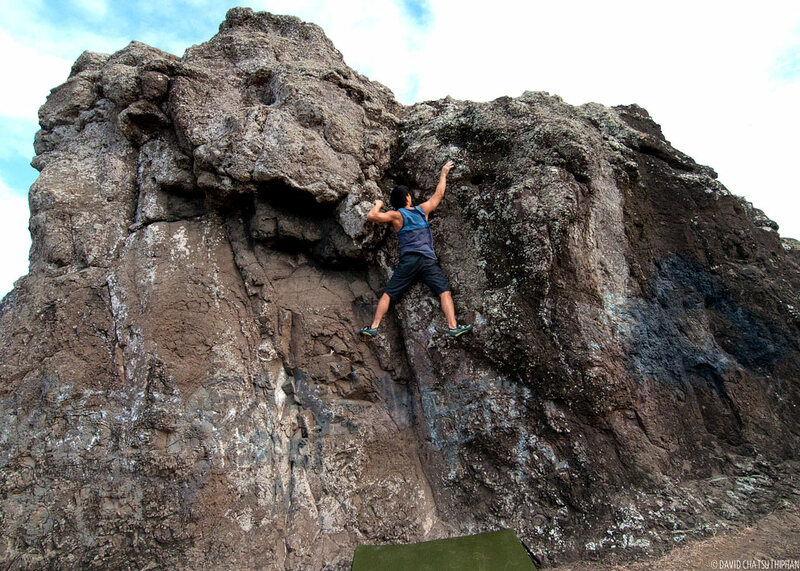 See other places to rock climb on Oahu.